Welcome to Young Law Scholar. We are very pleased that you are using our page and hope it is useful. By continuing to use this website you are agreeing to comply and be bound by the following and conditions outlined below. Please find that the term “you”, when used refers to the user or the viewer of our website, whether a follower or a guest. 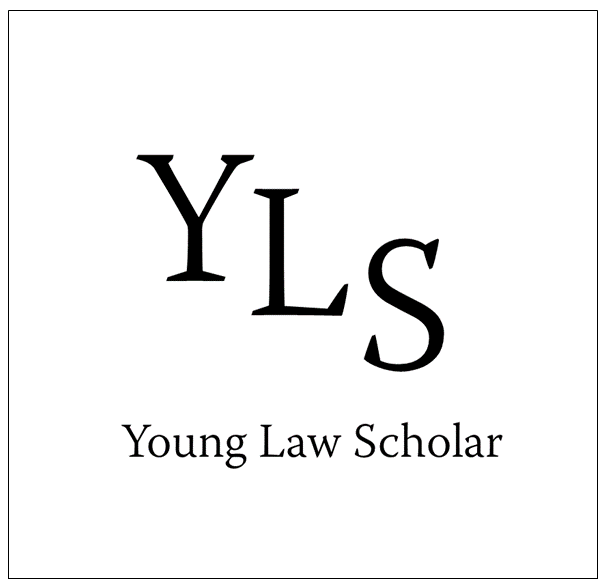 Use of the Young Law Scholar website includes access, browsing or following the website. You may find that we may revise the following Terms and Conditions at any time, in amending this page. Please do revisit the site in order to take notice of any changes we have made as they are binding on you. We may update the website at any given time, this applies to the content on the page. You must acknowledge that such information and materials made available may contain some inaccuracies or errors. Though much work has been done in order to avoid this, we expressly exclude any liability for said inaccuracies or errors to the fullest extent as permitted by the law of the land. Young Law Scholar is currently available free of charge. Though, we cannot guarantee that our Website or any content provided will always be freely available. Access to our website is given on a temporary basis. It is likely that we may suspend or withdraw all or parts of the website without due notice. And, we will not be liable to you if for any reason our website has been made unavailable at any time or period. Young Law Scholar owns and is the licensee of all intellectual property rights in our Website, any information or property belonging to others will be duly credited and referenced as required by law. YLS works are protected by copyright laws and treaties governing England and Wales. All such rights are reserved. You must not use any part of the content available on the page for commercial purposes without obtaining a license to do so from Young Law Scholar. Please note, that the content available on the Website is provided for your general information and much is based on individual opinion. The content on this website is not intended to amount to information that should be relied upon. We suggest that individuals use their discretion and take reasonable steps when making decisions based on information available on this website. To the extent permitted by law, Young Law Scholar, we will not be liable to any user for any loss or damage as a result of reliance on the content displayed on the website. We will not be liable for any loss or damage as a result of a virus or technologically harmful material that may infect the device used to access the website due to the use of our site, or downloading of any content on it, or other websites linked to Young Law Scholar. Young Law Scholar’s comments section is pre-moderated but is regularly reviewed. Comments that are offensive or abusive will be removed immediately once notified. If you feel that any content on this website is offensive or abusive in any manner, please bring it to our attention and we will make changes accordingly. To report an offensive comment please email ylscontactus@gmail.com. Any user data shared with Young Law Scholar via WordPress is solely used to know who has followed the site via our ‘follow us’ button and signing up to write for the website. Your name, email, course, and university is completely confidential and will not be given to any third parties. However, you do accept that will use to data in deciding our acceptance of your application to our discretion. We do not guarantee that during your use of our website you will be secure or free from bugs or viruses. This is out of our control and you are responsible for ensuring that you have taken reasonable steps to be safe on the internet. The website does not have a virus protection software. You must not misuse the website by introducing viruses or material of technological harm to the website. You must not attempt to gain any unauthorised access to our website, the server on which the website is stored or any server connected to our website at any given time. This information applies to any information, images or any other media downloaded from our website. We are not liable for any loss or damage as a result of downloading. The website may contain links and advertisements linked to other websites. The links provided are provided for your information only with no malicious intent intended. We have no control over the contents of those sites linked or the resources that they have provided. It must not be interpreted that Young Law Scholar endorsed these linked websites and will therefore not be liable for any loss or damage that may arise from your use of those sites linked. The use of Young Law Scholar and any dispute that may arise from such use is subject to the laws of England and Wales. We reserve the right to take action against followers of this website, at any time, for any reason. Though unaffiliated to the Independent Press Standards Organisation. Young Law Scholar follows the Editors’ Code of Practice as written by the Editors’ Code Committee and enforced by IPSO. As follows. Click here to view the Editors’ Code!